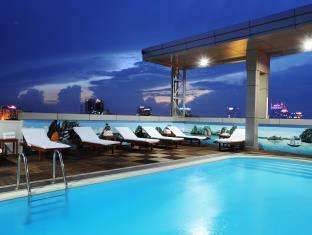 Eastin Grand Hotel Saigon is the most sophisticated, modern, and contemporary 5-star luxury hotel in Ho Chi Min City. Perfectly located 10 minutes from Tan Son Nhat International Airport and 20 minutes from the city center, Eastin Grand Hotel Saigon is ideal for travelers who seek convenience and first class service. Eastin Grand Hotel Saigon perfectly combines 5-star amenities with Vietnamese hospitality, ensuring your every need will be anticipated. The hotel offers a variety of dining options including Vietnamese, Japanese, Chinese, and international cuisines. After a long day, guests can simply relax and enjoy some drinks and snacks by the pool or get pampered in the luxury wellness studio which offers a wide range of massages to de-stress and rejuvenate. At Club 21, guests can find the newest electric games room comprised of the latest slot, roulette, black jack, and horse racing machines. 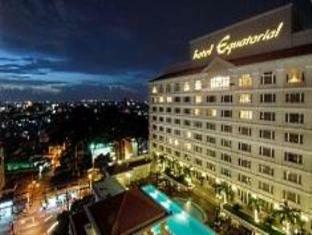 Eastin Grand Hotel Saigon is the perfect place to enjoy your holiday in Ho Chi Min City. Whether you are traveling for business or pleasure, the New World Saigon Hotel ensures visits will be memorable. Situated only 20 minutes from the airport and with the business and commercial district at its doorstep, there is no better located accommodation in Ho Chi Minh City. New World Saigon Hotel is an easy walk to the legendary Ben Thanh Market, the largest indoor market selling everything from clothes to hardware to fresh food. New World Saigon Hotel offers 538 tastefully furnished and spacious rooms and suites. For recreation, guests can relax beside the swimming pool, enjoy a game of tennis, or exercise in a state-of-the-art health club. Dining options include the Parkview Restaurant overlooking Le Lai Park, or the Dynasty Restaurant which serves Cantonese cuisine. Several exclusive stores are adjoined to the New World Saigon Hotel for guests� shopping pleasure. Executive Floors dedicated to guests who demand the ultimate in personalized service are also available. Whatever the reason for your stay, New World Saigon Hotel will make it a good one. 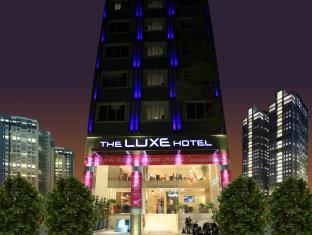 The Luxe Hotel, Built in 2013, The Luxe Hotel is a lifestyle hotel ideal for business or leisure travelers who seek modern, stylish living. Centrally located in the heart of Ho Chi Minh City, The Luxe Hotel is within reach of shopping malls, department stores, and many attractions like the Ben Thanh Market, City Hall, Opera House, Reunification Palace, and Notre-Dam Cathedral. Gastronomic dining options as well as vibrant nightlife are easy to access. After a long day, guests can recharge themselves with guestrooms furnished with a large screen LED TV, high-speed internet, a mini bar, and 100% cotton bed linens which offer a new level of experience of comfort. Whatever the reason for your stay, let The Luxe Hotel make this trip the most remarkable and convenient one. Golden Central Hotel Saigon For travelers who want to take in the sights and sounds of Ho Chi Minh City, Golden Central Hotel Saigon is the perfect choice. The hotel is not too far from the city center: just 50 miles away, and it normally takes about 20 minutes to reach the airport. This modern hotel is in the vicinity of popular city attractions such as Mariamman Hindu temple, Consulate of Korea, Thu Khoa Huan street. At Golden Central Hotel Saigon, the excellent service and superior facilities make for an unforgettable stay. Free Wi-Fi in all rooms, 24-hour security, fireplace, postal service, taxi service are just a few of the facilities that set Golden Central Hotel Saigon apart from other hotels in the city. The hotel features 120 beautifully appointed guest rooms, many of which include internet access � wireless, internet access � wireless (complimentary), whirlpool bathtub, non smoking rooms, air conditioning. Whether you're a fitness enthusiast or are just looking for a way to unwind after a hard day, you will be entertained by top-class recreational facilities such as fitness center, sauna, outdoor pool, spa, massage. 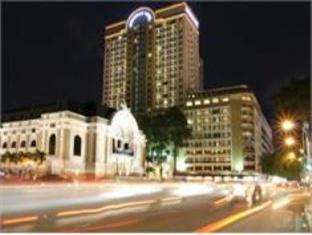 Enjoy unparalleled services and a truly prestigious address at the Golden Central Hotel Saigon. Built in 1925, the 175-guestroom hotel is a historical landmark of stunning French colonialist design. 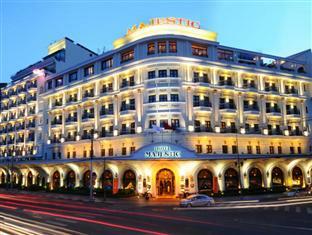 Hotel Majestic Saigon is seven kilometers from the Ho Chi Minh City Airport. 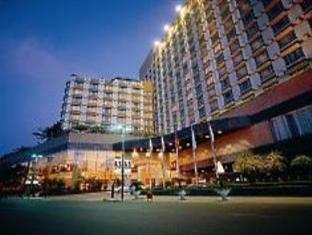 The 5-star hotel is also less than two kilometers from the Notre Dame Church and the Ben Thanh Market. 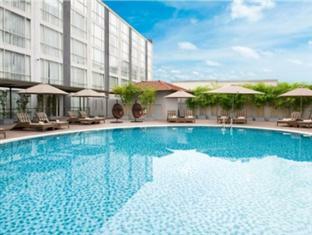 One half of the building offers a stunning view of the Saigon River, while the other half overlooks the swimming pool. There are eight food, drink, and entertainment establishments offering everything from European and Asian cuisine to cocktails at a piano bar. Throughout its rich history, the hotel has been host to famous authors, heads of state, the Japanese Imperial Army, and espionage agents. Whatever the reason for your stay, Hotel Majestic Saigon will take you to the next level of comfort. Take a break from the action! Considering Ho Chi Minh�s reputation as a burgeoning, hectic city, this hotel offers a break from the chaos. Ramana Saigon Hotel is located just 10 minutes from the heart of old Saigon but is close to the airport, making it a favorite for business travelers who also will appreciate things like free wireless Internet connections in the lobby and a business center for meetings and conferences. A fitness center and small pool is also available. The staff has gained a reputation for being helpful and polite, and this is another thing that on-the-go travelers will surely take notice of. Whatever the reason for your stay, Ramana Saigon Hotel will make it a good one. Caravelle Saigon Hotel is one of Ho Chi Minh City�s leading international 5-star hotels strategically located in the center of the business, shopping, and entertainment district. Guests will enjoy convenience with the location only eight kilometers from Tan Son Nhat International Airport. The hotel�s modern design combination of French and Vietnamese architecture promotes an ambience of relaxed conviviality despite it being over 53 years old. A wide range of 335 appointed non-smoking rooms are offered with Wi-Fi Internet access throughout the hotel. Amenities include six superb wining and dining venues and the well-known rooftop Saigon Saigon Bar with a bird's-eye balcony view of the neighborhood and live music. For conventions, 11 rooms accommodating up to 700 are the best choice for MICE and private functions. All of these factors ensure this hotel is a perfect accommodation for all visitors. 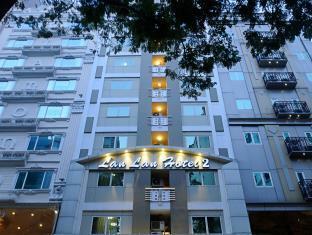 Lan Lan 2 Hotel , is one of the most attractive hotels in Vietnam. Rooms are beautifully decorated with modern furnishings. 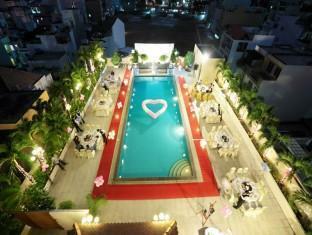 Located near the Ben Thanh Market, it is an ideal hotel for visitors and businessmen alike. Offering amenities like Internet access, 24-hour laundry service, bike or car rentals, currency exchange, tour bookings, and airport pickups make a stay here convenient for all guests. Lan Lan 2 Hotel also features LanLan Restaurant, which offers fine cuisine ranging from Vietnamese to international cuisine. A rather modern hotel, this property provides comfort due to its location and the facilities provided. 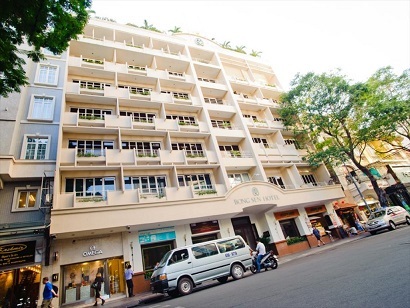 The Bong Sen Hotel, With a prime spot on Dong Khoi Street, this hotel makes a nice location for travelers to Ho Chi Minh for business, entertainment, or shopping. The Bong Sen Hotel Saigon is comprised of 127 rooms with essential amenities like air conditioning, satellite television, and wireless Internet access along with a complimentary breakfast buffet. Equatorial Hotel Ho Chi Minh City Hotel Equatorial Ho Chi Minh City is an international 5-star hotel, located where the borders of the city�s four main district intersect, hence in the heart and true centre of Ho Chi Minh City. Tan Son Nhat International Airport can be reached conveniently within a 35-minute drive, while the city�s major commercial and entertainment area is only a mere 8-minute drive. The hotel features 333 guestrooms and suites, beautifully and elegantly designed with attention to detail for the utmost comfort of leisure and business travellers alike. Non-smoking floors are also available. Facilities include 6 food & beverage outlets with the signature restaurants Orientica Seafood Restaurant & Bar and Chit Chat at the Caf�. State-of-the-art meeting and conference facilities, which can accommodate up to 1,250 people. The hotel also houses a world-class recreational centre with an open-air swimming pool (a swim-up bar), gym, spa and massage services are also available.